Must follow it as the eagle seeks the deepest blue of the sky. Look for the BEAUTY IN ALL THINGS, it is there you will find the TRUE NATURE OF SPIRIT. Respect the RIGHTS and BELIEFS OF OTHERS, only with TOLERANCE, will you find TRUE CHARACTER, STRENGTH and PEACE OF MIND. Always give thanks for each DAYS LESSONS, because KNOWLEDGE and GROWTH will only come from ACCEPTANCE and ACTION, never DENIAL and DEFEAT. Micheal “Katene” Naera runs workshops called ‘The Power Within’. As I have said to many people lately, the future of our Earth Mother and all her children, including us two legged humans, is depended on humanity understanding and living according to two key words. These words are CONSCIOUSNESS, Wakefulness or Awareness and RESPECT or Reverence for 'All Our Relations'. I had two visitors in March that reminded me about consciousness, awareness or also called wakefulness. The first visitor came wanting to experience the oneness that she understood with the mind, after hearing me talk about it. So I took the children for a walk while she meditated or contemplated on what it would be like to be a tree and loose a limb, which hurt. And then she became a large rock, or stone person and lost a chip, which was a totally different experience again. This gave her a multitude of ways to experience the oneness everyday if she wants to. This is because she has learnt to shift consciousness from a level that sees and feels matter as physical and separate, to one that sees and feels the oneness with compassion (the Heart Chakra). The second visitor came for breakfast, a chat, and some questions. We talked about many things including the science of cars, the physics of life, nature and writing. And we often came back to the role of the mind and consciousness. These are two examples of the importance of consciousness, which is also the same as awareness, or wakefulness. I would also like to talk about the power of the subconscious or the lower world where the foundations of human existence can be found. For most of the people I have met they are mostly unaware of the fact that these energies are affecting them to the extent that they are. These energies come from the bottom three Chakras; the animal instincts of: eating and fighting for survival; lust for procreation and desire of the organs for each other; and aggressive mastering for social position and personal power. When these energies are consciously chosen as tools when the necessary moment arrives, they are positive and powerful, but when they are unconsciously projected they can cause all kinds of pain and suffering to that person and others around them. In addition to these primal energies are the energies of all the feelings, desires, and painful experiences that have been buried. When these energies are unrealised a person will react in ways that are not natural, but are to some extent accepted, tolerated or at least recognised by society. In some instances most people have so much buried baggage that they can’t cope very well in society, so they are given the label of Schizophrenic, and drugged so that these energies stay buried. The only way of truly healing or curing the problem of these energies that are being unconsciously projected, is to bring them into full consciousness. This however it is so painful and frightening that it takes a true warrior to confront these ‘dragons’ holding the person from growing. I have seen many people on many occasions, myself included, come close to facing these energies only to become so paralysed by fear that the only escape seems to be to retreat. As I have found out myself, if these energies are fully felt with the conscious intent to bring some understanding and usefulness to them they end up being very positive energies that can be used in times of need. The ‘dragons’ become angels. Family members may disagree radically about the same subjects or their views may be uniform. In either case, their own or their family’s ideas are seen as true and others’ false. They may hold to these ideas to the detriment of themselves and others. Extended to towns, regions and countries, these uniformities and differences produce factions – this group proclaiming one truth, that group proclaiming another – in militant or manipulative stances. Widened to the world, it is country against country, each with God on its side and representing the truth, so that everywhere people are fighting over beliefs and associated possessions. Looking on, a visitor might conclude there is no general truth to be found among these disturbed creatures, not to mention sane and peaceful relationships. In an environment where they cooperate for security and gain in the name of truth, the visitor would see the absurd result: the human family at war with itself over thoughts and ideas, completely missing the truth. The visitor might attempt to point this out. But absorbed in their notions and motions, they would likely not notice. The visitor might say, look, you are missing the very thing you want. It is in front, behind and all around. It is also within. Why don't you stop a moment and pay attention? The visitor would hope they might pause at least momentarily. In that moment they might catch a glimpse of the life that carries all into existence and takes all away. They might see that the thoughts and ideas to which they were attached, as to themselves, were ephemeral, just passing through. Remaining, there would be nothing, but everything; no thoughts, but life itself – the truth. Transfixed, they would not be able to capture it. Thoughts would swarm in and they would have only a memory, just an illusion after all. If they were fortunate they would not proclaim this memory as the truth and so tie themselves once more to the wheel of misfortune. Sense – sense the presence of God. Why do people need enemies? The frozen face of fear wears many masks. Some, such as aggression and defence, disguise it. The aggressive person, the bully for instance, appears to be the opposite of what he is: afraid. The defensive person may also seem fierce in his acquisition and self-protection. But he, too, is masking fear. These sorts of false fronts, mainly disguising fear, are the personas people project. Groups also project personas that are composites of the people within them. A country has a persona. As in individuals, not only fear but also basic goodness may be covered by it. For example, a basically generous and helpful country may be outwardly aggressive, acquisitive and self- protective, a kind of bully that only helps others for its own advantage. As with a person, such a country may be dominated by unrealised fear. Fear is a state of mind that results from certain thought processes, such as remembering a pain and imagining its comeback, or remembering a pleasure and imagining its going away. Fear originates at the basic level from the mind realising that its personas are impermanent – nonexistent. Most people don’t realise this. Therefore, their activities revolve around escaping the fear of nothingness by trying to enhance their personas and make them seem permanent and secure. Some common ways of doing this are through attachments to jobs, enterprises, families, friends, entertainment, alcohol and drugs; by identifying with something larger such as religion, a political party, a corporation or a country; and by making influential connections and powerful enemies. To have important friends is easily understood, but why have enemies? To live with danger is exciting; it makes one feel more alive. An enemy gives one a strong sense of identity, of permanence and vitality. One is known by one’s enemies, they say. Therefore, one’s reality and importance can be measured by the reality and importance of one’s enemies. This is the way the world works, but it is dire nonsense. No one needs enemies. Humanity needs to make friends with itself. Vulnerability, not defence or aggression, is true power and the way to survival for all. Personas are not real. Not even fear is real. To test this, one can focus on the moving split-second and watch thought, fear, mask, persona and enemy all vanish instantly. That which remains is our saving grace, a touch of the true Self. 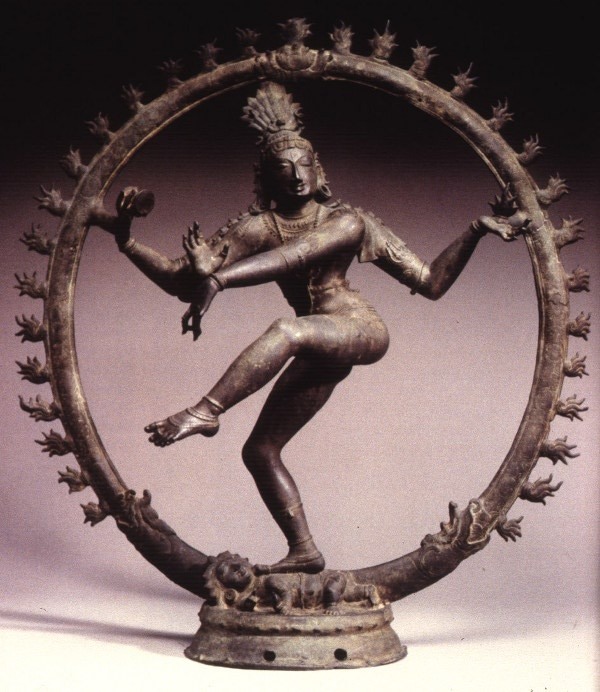 Shifting consciousness from Cronos to Mythos (see article on Duality, Vol. 1 No.5, for an explanation). Although both are universally connected, only one is usually in full consciousness. Dreams and visions are visits to these other realms or worlds, and with all of reality these will be experienced and expressed in symbolic, metaphoric form which shamans are familiar enough with to help one access the messages from these realities. These other worlds are also related to what Carl Jung has termed the ‘Archetypes of the unconscious’. 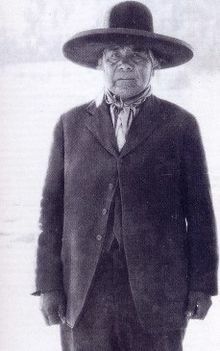 Wovoka, "The Cutter" also known as Wanekia, "One Who Makes Life", was a Paiute Visionary responsible for the birth and expansion of the Ghost Dance religion. He was born near Nevada, in a place called Walker River about 1856 or 1858. He was the son of Tavibo (The White Man), a medicine man and Paiute mystic. When his father died, Wovoka was raised by a couple whom were devout Christians who nurtured his religious nature. Then when he was about 30, Wovoka had a mystical experience, which had a profound effect on him. He fell ill from a fever at the same time as a solar eclipse, and during this illness he had a vision which offered new hope to the devastated Western Tribes, which became the core of the Ghost Dance movement. Wovoka’s vision was that the former Indian lands would revert to their ancient owners; the buffalo, elk, deer, and other game that had once been so plentiful. They would reappear and the land would again be Paradise. The Indian people yearned for the return of their lost homelands. For the Ghost Dance itself, participants formed a circle, joining hands, and moved slowly to the left while singing songs of Wovoka’s dreams for the future, these were specifically composed for each dance. Emissaries came from other tribes to meet the man some called the Red Mans Christ. The Sioux in particular joined, perhaps because the Ghost Dance came at such a critical time in their history. On the other hand the whites regarded this new religion with anger and fear, seeing it as bringing about resistance from the Indians. So the Whites set out to arrest the man they considered being its most dangerous tormentor Totanka Yotanka, Sitting Bull. The old Chief fought back, but was murdered along with his son and several other Sioux, but they weren’t the last to die. The Whites continued campaigning against the Ghost Dance, rounding up many of its adherents, including Big Foot, a leader of a small band of Hunkpapa Sioux. And shortly before Christmas in 1890 trigger-happy soldiers at Wounded Knee Creek massacred most of them. Wovoka’s dream of a green, peaceful land was buried in blood soaked bodies. Wovoka was stunned at the tragedy, he never imagined his vision would cause violence to others and the impact of the vision was decisively lost in the slaughter of innocent Indians. "You ask me to plough the ground. Shall I take a knife and tear my mother’s bosom? Then when I die she will not take me to her bosom to rest. You ask me to dig for stones! Shall I dig under her skin for her bones? Then when I die I cannot enter her body to be born again. You ask me to cut grass and make hay and sell it, and be rich like white men, but how dare I cut my mothers hair? "I want my people to stay with me here and all the dead men will come to life again, their spirits will come into their bodies again. We must wait here in the homes of our fathers and be ready to meet them in the bosom of our mother. "Grandfather says that when your friends die you must not cry. You must not hurt anybody or do harm to anyone. You must not fight. Do right always. It gives you satisfaction in life." My Grandfather taught me many things, but one of the most important is to respect your elders. In village life, the young men of the tribe called all the elder men Grandfather. This meant you must show the same respect to them as if they were your own Grandfathers. You tend to learn a lot more from the older men when they know you respect them. When I became a man, you must go through the initiation, which usually means a sweat lodge ceremony. This is started by your father or in my case my Grandfather, asking a few friends to join him in a ceremony on my behalf. For those of you who are interested, I will explain the ceremony and what happens. First you must build the sweat lodge, by digging a large hole about three feet wide and three feet deep. The dirt you remove from the hole goes into a mound out the front of the lodge; this is the altar to Mother Earth and the Great Spirit. Usually you would put a buffalo skull and your pipe on the mound, but if you don’t have these things it’s all right. You then put sticks into the ground and bend them over to form a dome. The dome shape represents the universe and Mother Earth. If you don’t have flexible sticks you can use short sticks about three and a half feet tall, and tie other sticks to them to form a square lodge instead. These were covered with skins, but old canvas will do nicely. You only have one door at the front to enter [from the East], and the entire lodge must be covered all the way to the ground, all the way around, no light. The size will depend on how many people you wish to fit in the lodge; the average size for four or five people is only about ten feet by ten feet, and three and a half feet tall. The fire is built outside to the right of the mound. The Indian way is to stack four logs, four times, crisscrossing each layer so that you have sixteen logs piled up. Then place your rocks, about ten, on top of the logs and light it. Never use rocks from the river because they may explode, or crack. Any other rocks will do, but lava types are the best. You will need a forked stick or pitchfork to pass the rocks inside the lodge, and a bucket of water. The Indians always had a man or helper outside to take care of this part, but the helper can join the ceremony if he likes. At this point I will explain how my own ceremony happened, and how and why sweat lodge ceremonies were held. The man who calls for a sweat lodge ceremony is the one who builds the lodge and builds the fire. Any man can call on his friends to join him for a sweat lodge ceremony. It isn’t like Friday night bowling, most people had a very good reason for a ceremony. If you were having trouble with your wife and kids, you may ask several of the men in the tribe who had large families to join you for a ceremony. You would ask them because they seemed to have a very happy family life, and you wish to gain wisdom from their experience. Once inside, you would explain what your problems were and ask for help in understanding your problems. These men you ask would usually offer whatever advise they can and then pray for you to find wisdom. The use of the sweat lodge is worldwide, and most people do it for health reasons, which are well known. Your blood pressure rises, working your organs at top speed, which helps cleanse the body of toxins. You also sweat out a lot of toxins through the skin. But to the Indians, the sweat lodge meant not only cleansing the body, but the mind and the spirit as well. It was a means of finding the great balance of life. If you wished to seek something in the spirit world, the sweat lodge was the place to find it. Many people have experienced visions during a sweat lodge ceremony. My own ceremony included three long time friends of my Grandfather, who were well known to me, and a helper. At first you must strip down to bathers, or a breechcloth. After the ceremony, not before, it is the custom to smoke the pipe filled with tobacco, which the man who brought you together offers you. When you enter the lodge, you must enter backwards, which means you will bring nothing with you, none of the anger, hate, or bad medicine from the past. If two warriors were angry with each other, several of the elders would ask them to have a ceremony, and inside they would work their problems out. Once inside, the person who called for the ceremony sits next to the door. He is the one who decides when the door is to be opened. At the start, four rocks are passed in using a forked stick, and placed into the hole in the middle of the lodge. At this point my Grandfather passed around a bowl of water to each of us and we wet our hair and faces with water. The more water you place on yourself at the start the better, I was to learn. After a short speech welcoming me to manhood, he poured the first bowl of water on the rocks. At first I thought he must have made a mistake because I was so hot that I thought I was going to die. I placed my head in my lap and tried to get as close to the ground as possible to avoid the searing heat. Just when I thought I couldn’t take it any more, I looked up to see all four of these old men sitting upright and smiling away as if nothing were wrong. I knew then that I could not embarrass my Grandfather or myself by complaining. The heat was unbearable to me but these old men just kept smiling, so I tried to get closer to the ground and hide the fact that tears were forming from the pain. The glow from the rocks is quite bright, so I was afraid they may see my tears. Just when I was feeling like tearing my way out of the lodge, my Grandfather opened the door. The cool air at that moment was the most refreshing air I have ever experienced. My Grandfather then handed me another bowl of water and instructed me to put more water on this time, because it was going to get hotter now. This scared me to death, I didn’t think I could take it any hotter as he said. I doused myself really well this time and the water seemed to turn to steam as it hit my face. My skin felt like it was burnt, and I was afraid that if I rubbed myself too hard I would remove some skin. As the helper handed in another four rocks, I felt my heart sink, “Can I make it through this?” I thought. One of my Grandfather’s friends smiled and said, “You are the first young man to go through the first round without asking for the door to be opened.” I smiled back and said, “Can I ask for the door to be opened?” All the men laughed and asked, “Didn’t your Grandfather tell you that any man can ask for the door to be opened?” I just smiled, not wishing to say, no he didn’t, and they all had a good laugh again. This broke the ice between us, and the respect I felt from them helped me endure much easier. All of the men then recounted their first time in the sweat lodge ceremony, and how terrified they were at the time. They then gave me the secret to life and happiness that each had found. After enduring ‘hotter’, as my Grandfather called it, I knew that I had done well, and I felt pleased that I hadn’t asked for the door to be opened. But for those people who would like to try a sweat lodge ceremony, I can only say, don’t do it with an Indian, unless you have great courage and endurance. It was, and still is one of the most painful experiences one can go through. [But not with me, I allow the Great Spirit to give everyone the experience that they need. – Ed.] This is why people see visions in the sweat lodge, they take themselves to the edge of pain, and just when they are about to black out, they enter the spirit world, and can see many things. When you have used all the rocks and the ceremony is over you leave the lodge and go strait to the river and jump in, never has water felt so good. It is hard to describe the joy you feel when you enter the water with your body steaming hot. You do feel almost as if you are reborn, and the joy of life fills your heart. The Indians believe that the hotter it is the better, because the hotter the air is, the further your prayers are taken up into the sky. The Indians always test their strength and endurance through self-denial or pain. If it were visions you seek in a sweat lodge ceremony, then you would normally go without food or water for three days before the ceremony. The other men who join you do not go without food or water unless they too wish to have a vision. This way, if you do black out, the other men can carry you from the lodge, which will save your life. The custom is to go without food before and eat afterwards. In the old days, men would do their own sweat lodge ceremonies and women would do their own ceremony separately. Families having problems could hold their own ceremony to sort things out. It really was group therapy at its best. Tribes did have sweat lodge ceremonies on a regular basis, but no time element was followed. The major reason was to keep ones balance on a daily basis, so a ceremony was called for no reason at all, just to keep one in tune with the universe, and to keep Spirit happy. The ceremonies were also called for on joyous occasions such as marriage, a good hunt, manhood, etc. They would hold the ceremony before the hunt to ensure success. The chief, Shaman, and warriors would always have a ceremony before war. If you do not believe in magic, your life will not be magical. Magic, like the power of Stonehenge, is part of the unknowable, that which you cannot describe, but which exists and makes your life extraordinary. It is part of the goodness of your spirit. It is that mysterious and intriguing part of your spiritual life. Magic is what we are all looking for, but if you try to hold it, name it and describe it, you will lose it. You must talk around magic, describe what led you there, and give thanks for that part of the universe that is unknowable and full of colour and strength and magic. Out of relationship comes magic. Out of the friction of forgetting and remembering comes magic. Out of the mists of dawn and the mysteries of creation comes the magic that we call life. Out of your passion for existence comes magic. To have power in life, you must take power. Power is never just given to you. Stonehenge is an ancient sanctuary and sacred circle of monoliths. The monoliths were carefully assembled to draw up the power of the universe that is within the earth, as symbolised by spheres in the explosion of eternity beneath the circle. What is in the universe above you is in the earth below you. To understand magic and illumination in the east, you must place yourself, standing in your power, as an antenna. Bring down the energy and power of the universe, and bring up the energy and power that resides within the earth. You stand as a mediator between the two sources of power. This is how magic begins in your life. Ripe, juicy, succulent, and offer yourself to all. But you must remember there will be people who do not like plums. You must understand that if you are the world’s finest plum, and someone you like does not like plums, you have the choice of becoming a banana. But you must be warned, that if you choose to become a banana, you will be a second rate banana, but you can always be the best plum. You must realise that if you choose to be a second rate banana, you must remember that there will be people who do not like bananas. Or: you can seek again to be the best PLUM. Of course you must know what you are in the first place. As we grow up in our social surroundings we are given belief systems about what it is to be a human banana. It took me half my life trying to be a good banana before I was prepared to give up my life as a banana; thus letting go of being a banana; I was a really bad banana anyway. Then when I opened myself to Great Spirit I realised that I wasn't a banana after all; I wasn't even a plum, I was a human being and I have been learning about being a human (an Earth Person) ever since, but of course some people think I'm a plum and others just think I'm BANANAS. Turangawaewae is the home of one’s ancestors, where one feels she/he has the right to stand up and be counted. It is the place where one belongs, and the roots are deep. From here a person can move into the world in any given context and not be afraid to make a stand. Aio, Aorha, Koa, Pono ki te Aorangi - Peace, Love, Joy, Truth to the Universe. Your creativity is like a story; it needs a voice, a way to be heard in the world. Creativity has moved into your hut. Creativity is part of your future life. People think that creativity is like stories, that it is outside of them, like truth or power. But it inhabits you like your own life force, and it animates your being. Creativity is within the crystal palace of your mind. You are about to go on a long journey. It is called your life. You will learn to heal the evil forces of darkness. You are a warrior in the fight against ignorance. The dark sorcerers in life are created within each of us when we live a life of unexpressed creativity, when we live someone else’s truth and not our own. Define your own creativity and live that creativity in the world. The pagoda is a symbol for the creative self. It is open to allow for the openness of mind. If the pagoda were your physical body, the crystal would symbolise your spine, the conduit for your energy. The crane is a guardian of happiness and longevity on your pathway to eternal creativity. The snowy mountains symbolise the higher states of consciousness required for true creativity. Creativity is a teaching of the east, because it takes strength to delve into the deepest part of your spirit and then to manifest the truth that you find there. Albert Einstein studied the physics of matter and discovered his relativity theory, which says that space is not three-dimensional and time is not a separate entity, but they are both intimately connected and form a four-dimensional ‘space-time’ continuum. It is also the general consensus that quantum physics shows, that when all matter is broken down to its smallest component there is actually no such thing as matter, only energy, that at times vibrates so fast that it appears to be solid matter. It is on this basis that mystics and shamans can enter into the real world of vibrations and timelessness. For more information on the science of physics as a parallel with shamanism and mysticism I recommend reading my article on: ‘The Physics of Shamanism’; Fred Alan Wolf’s book ‘The Eagle’s Quest’; or ‘The Tao of Physics’ by Fritjof Capra. So the only time of any real importance is the present. As the fourth principal of shamanism states; the moment of power is now! And it is also important to remember that the future is not written and can therefore be changed. And Eckhart Tolle' in his book 'The Power of Now' and 'A New Earth' has indicated very clearly that the only time that really exists is the present moment and that the concept of 'I' or the I am that is living in the present moment are the keys to experiencing a spiritual understanding, and that is to realise that I am the present moment. “Modern physics has confirmed most drastically one of the basic ideas of Eastern mysticism; that all the concepts we use to describe nature are limited, that they are not features of reality, as we tend to believe, but creations of the mind; parts of the map, not of the territory. When I do a Rune Stone, Shaman Stone, Medicine Card or I Ching readings I am aware, and often remind the other person, that the cards and stones can only pick up the energy patterns and belief systems that are contained in the person’s cellular memory. This cellular memory contains past experiences and subconscious memories and emotions. But these divination stones and tools mainly pick up on the person’s present energy patterns, their thoughts, and beliefs. These cards, stones and tools mainly show; in symbolic form, the strong energy patterns that have effected the past and present, and will therefore most likely effect the future. My job, as a shaman, is to interpret the possible meanings of these symbols and then give the person some methods of changing their energy patterns from ones that give an unfavourable future to patterns that give a favourable one. There is one more important message that I have learnt from Joseph Campbell while I’m talking about time. He says that people think that eternity is a long time, but eternity has nothing to do with time, it is a dimension of the here and now that transcends all thinking; there's the key again. What is time that it has such power to change all that exists back into dust? What is this unseen force like the wind that can shape the land and our lives? Learn to play with time. Time is surreal, like fish swimming in treetops. A person of power knows how to arrange time. Put on your watch and be aware of the time at which you do everything. Watch the sun, the moon, and the transit of the stars. Find out the time that Venus is lowest in the sky before dawn. Be aware of your cycles – when you get hungry, when you sleep. Our society is obsessed with time, so now “become” time. If you’re obsessed with something, it is better to explore it than to deny it. Then it is possible to give up your obsession and let a concept like time take its proper place in your life. Your power depends on your use of time. The symbolism of the fish in the treetops indicates the importance of the Tree of Life and the knowledge therein that we are, indeed, all one. The Piscean era is symbolised by the fish, and it means that we are coming to the end of a period and are giving birth to a new aeon. Within this new birth, all possibility is at hand. Take your power now and try to understand what time really means to you on your path of heart. Do not waste time; you only have a moment in this lifetime. On the other hand, you must have patience in order to create perfect timing.